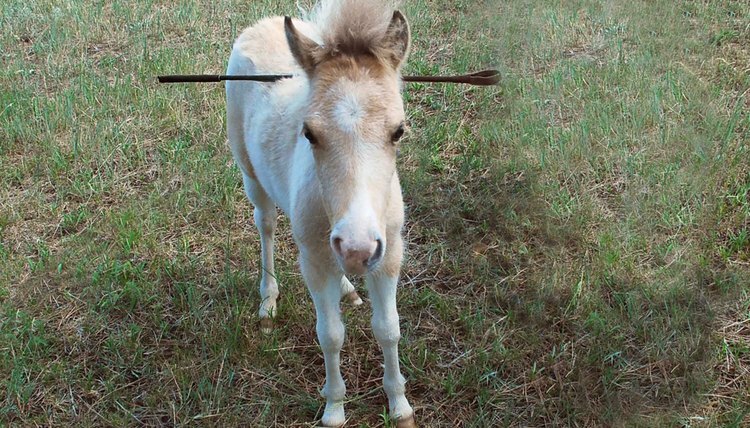 Crops should never be used to beat a horse, but rather as a means of backing up a verbal or leg command with a firm tap. If you are making a crop for fancy dress purposes rather than to be used on a horse, you can make the shaft from a wooden dowel. Alternatively, you could cover the rod by wrapping a thin strip of leather over and over the rod in a spiral and gluing into place. This method is easier but less durable. Whips and riding crops are known in horse circles as "artificial aids," and are used behind the rider's leg or down the horse's shoulder to back up a command. Crops are short and flexible, and have a handle with a lanyard at one end and a leather loop at the other. The loop is designed to make a slapping noise when it strikes the horse, which acts as another form of encouragement. Making your own riding crop will allow you to decorate and personalize it to your own requirements. Lay the rod on a table. 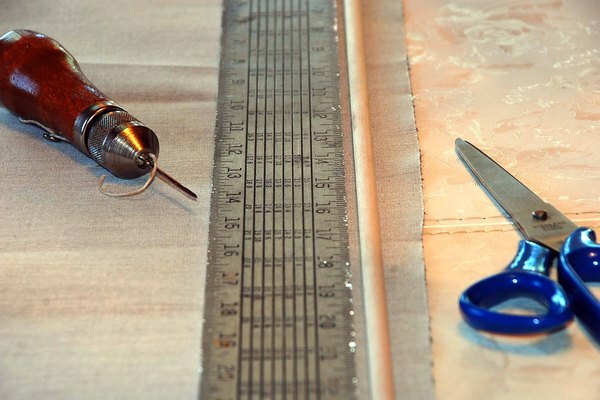 Measure and cut a strip of leather 2 to 3 feet-by-1 inch, and lay it flat on the table. 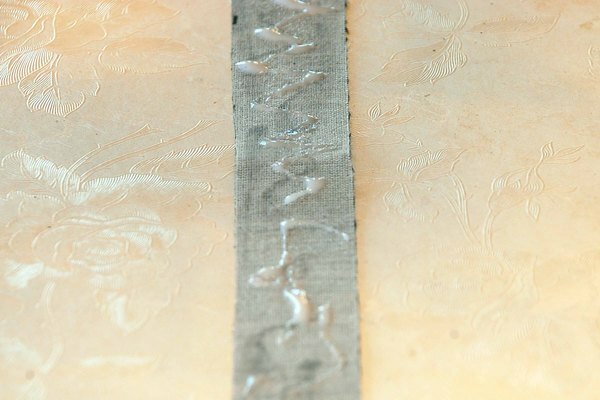 Spread a layer of glue over the leather and roll it tightly around the rod, pressing the seam down flat with your fingers. Trim off any overhang flush with the ends. Thread a needle and run the thread through a block of wax to weatherproof it. Put on a thimble to protect your thumb, and sew the seam into place using an over stitch. If the leather is very thick, you will need to pre-punch holes with an awl. Sew a couple of stitches over each end to prevent the rod slipping out of the pocket. Spread another layer of glue over the handle. Cut a 1-inch strip of cotton and wrap it tightly around the handle. 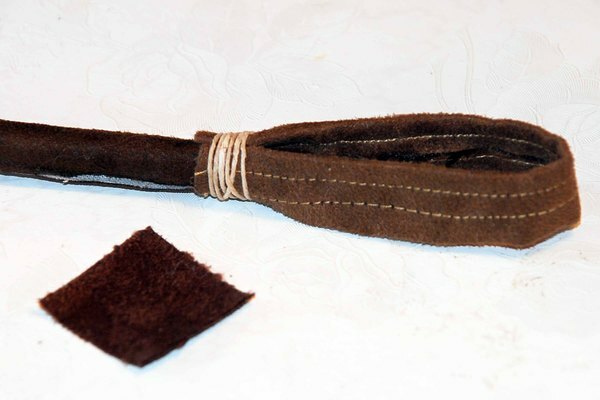 Cut a 1/4-inch strip of leather and bend it into a loop. Lay the loop downwards so the ends rest on the bottom of the cotton wrapping and the loop lies parallel to the shaft. Wrap thread tightly around the ends to hold it in place. Spread the cotton handle with glue. 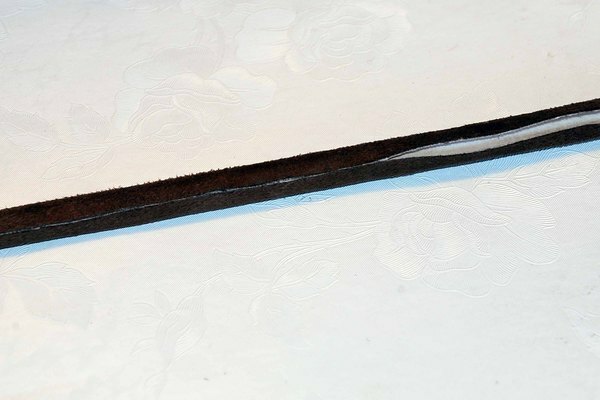 Cut a piece of leather 1 inch-by-1 inch, and spread it over the end of the handle to hide the shaft, pressing it down firmly with your fingers. Cut another strip of leather 1 inch-by-2 feet. Starting from the top, wrap it continuously round to the base of the handle, overlapping by 1/2 inch. 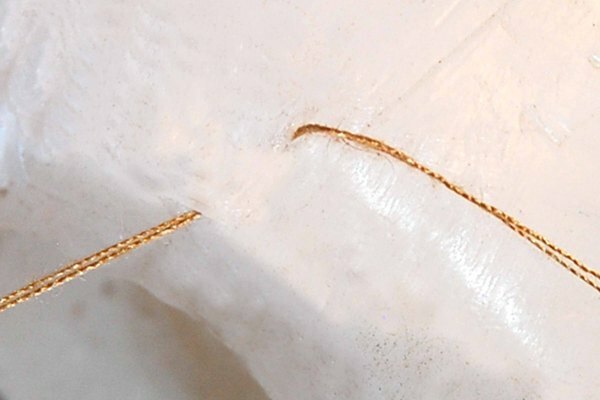 Wax a piece of thread and wrap it tightly over the join between the handle and the shaft. Cut a 1-by-5 inch strip of leather and shape both ends into a stem. Position the loop over the end of the crop and bind it tightly into place with waxed thread. Snip the end of the thread and push it well under with the blunt end of a needle.